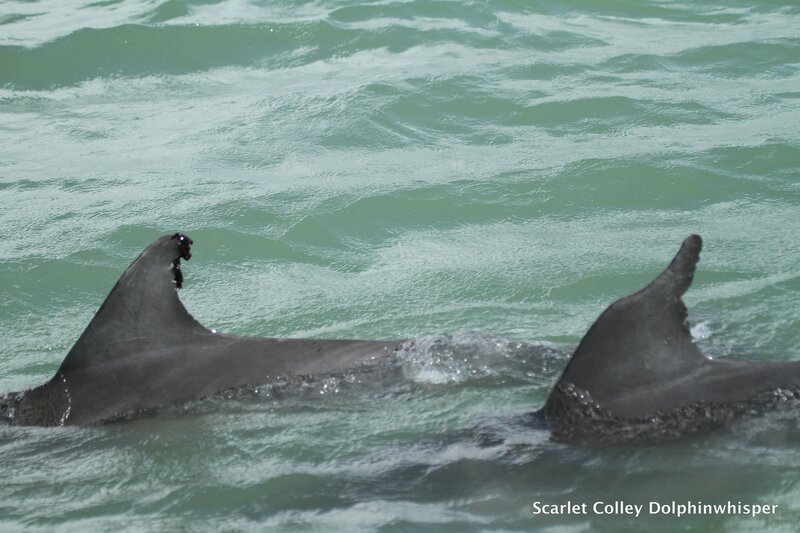 This is Mohawk and Berkley, two of our dolphins impacted by monofil fishing line. It was neat to see the two of them together yesterday. I am very fond of both of them. 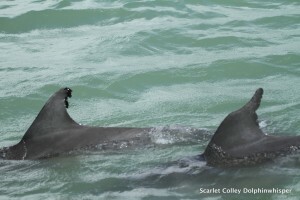 Mohawk of course was the little dolphin we rescued from fishing line in 2009. Berkley had fishing line around his dorsal in 2008. It took most of the upper half of his dorsal fin off. Mohawk had to be captured to remove the monofil entangled around her body. The line would have taken her life if we had not done something for her. It was an amazingly successful rescue. I am sure they are bonded thru their trauma with monofil.